CBD Medical Properties: Real or Imagined? CBD Medical Properties have been a been a burning topic over recent years. Does CBD actually help people or is an entire industry being built on a placebo effect? Proponents of CBD products scream from the rooftops that this simple compound is a wonder drug: but is there any actual evidence to back it up? Over the next couple of minutes, we will take a look at the CBD Medical Properties that we know are real and see if there is any truth to the rest. Spoiler Alert: Just because the FDA hasn’t approved something doesn’t mean there aren’t facts to back it up! When it comes to the United States Government, Cannabidiol has 1 approved use. According to the FDA, the only reason anyone should be using CBD is to suppress epileptic seizures, more specifically Lennox-Gastaut syndrome and Dravet syndrome. 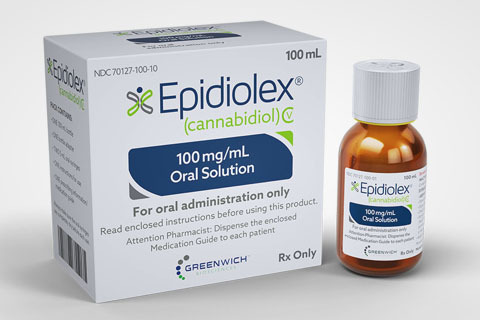 As far as the Nations science bureau is concerned, the only form of Cannabidiol you should take is Epidiolex. If your child qualifies for treatment, the price tag is around $32,500 a year. As no-one else has shelled out millions of dollars for trials and approval yet, the FDA is pulling its usual tricks, threatening the industry with shut down for not playing by its rules – see vapor industry for the idiocy pulled by the FDA. Even though Hemp and CBD are federally legal, FDA Commissioner Dr.Scott Gottlieb is restating the fact that CBD is a drug ingredient and needs his approval to be sold in any form. That, however, is a different story for a different day. People are buying CBD products in every corner of the United States because they believe they can help with a variety of ailments. The question is, are those people being dupped or is it really helping? Most of us have got away from the FDA’s rationale. They believe that their way is the only way to get things done and we are all mindless children. Go anywhere on the internet and there are masses of research papers linking Cannabidiol to different health benefits. We all have EndoCannabinoid Systems built into our bodies. Put simply, we have a series of enzymes and nerves in almost every system in our bodies that work with Cannabinoids. No-one is imagining that; CB1 and CB2 receptors are there and they help regulate you. You get hot, they turn on the sweat- using CBD is part of who we are. There are studies from the treatment of PTSD to helping people with schizophrenia with CBD. Everything from stress-related illness to fertility treatment, the research is out there. Children with ADHD turning away from FDA approved Adderall (amphetamine) and replacing it with a product that balances their bodies. That isn’t a fairy tale, it’s happening all over the country right now. People with debilitating anxiety, walking out of the house in the morning with a fresh sense of life, again not imagined. The list of uses for CBD is growing by the day and it seems the only imagined part of it comes from the Government’s definition. If you are currently using CBD, take to the comments and let us know why you’re using it. We could spend all day trying to get the truth out and you guys will believe each other before you listen to us. Next article What Do THC and CBD Stand For? What Do THC and CBD Stand For?